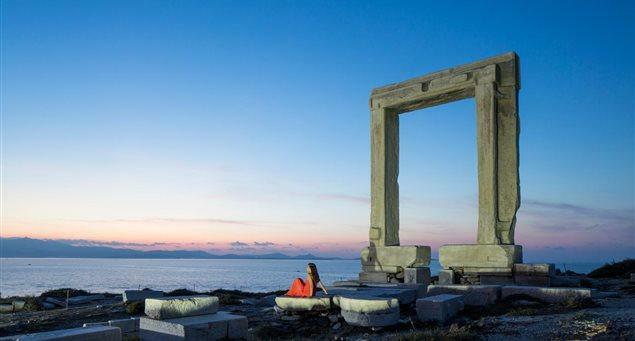 Naxos’ Temple of Apollo – Portara, a huge marble gate and the single remaining part of an unfinished temple of Apollo of 530 BC, is the island’s emblem and main landmark. Standing on the islet of Palatia, at the entrance to Naxos harbor, it comprises four marble parts weighing about 20 tons each. 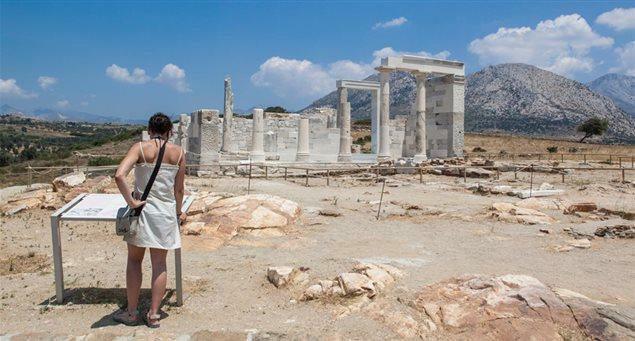 Its construction was initiated by the tyrant Lygdamis in the 6th century BC, according to the specifications of the temples of Olympic Zeus in Athens and of the goddess Hera on Samos. It measured 59m in length and 28m in width, and its entrance was on the western side of Naxos –an unusual feature for an Ionian-style temple. 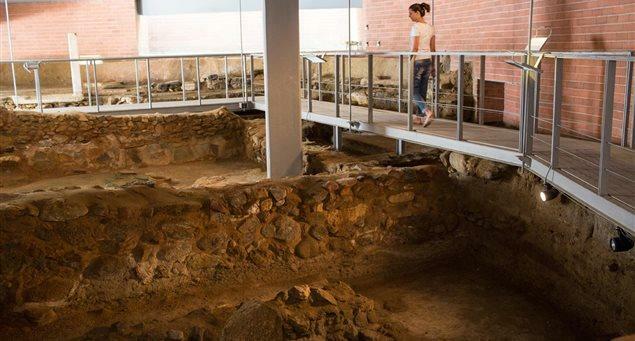 The monumental gate seen today, which led from the vestibule to the main part of the temple, lies amidst traces of its foundations and those of a peripheral colonnade that was never completed. An arched Christian church was built on the ruins in the 6th or 7th century. The islet of Palatia has been associated with the worship of Ariadne — a Cretan princess — and Dionysus, the god of wine and merriment. 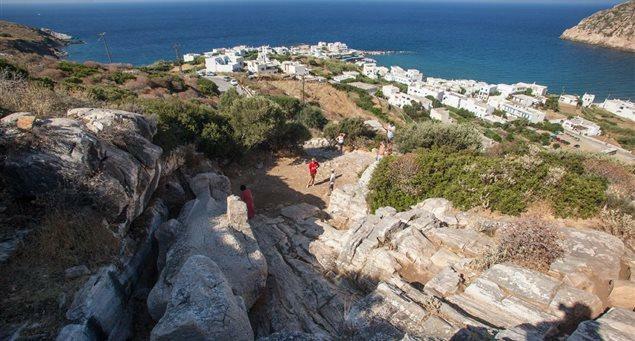 Because, according to mythology, Dionysus abducted the princess at the beachside of Palatia, the islet is considered the place where Dionysian festivities were first held. Naxos’ Temple of Apollo – Portara today is connected with the Naxos mainland via a paved footpath. The spot offers one of the most enchanting sunsets in Greece.